Aamir Khan needs no introduction to any Indian. He is a Bollywood superstar that has consistently made lotsa money with movies he acted in, often also championing social causes. 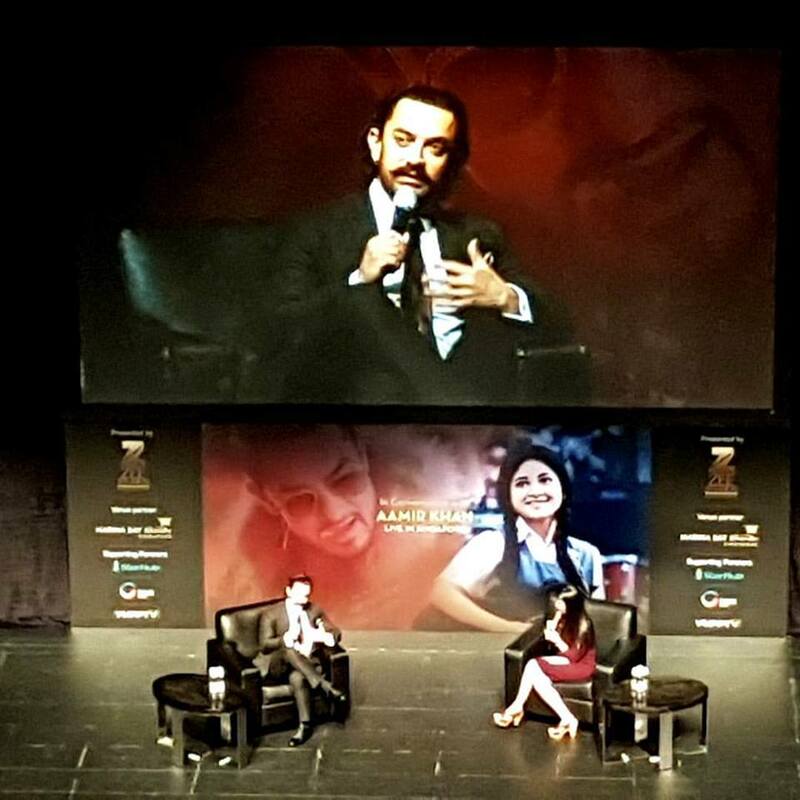 He was in Singapore to promote his new movie "Secret Superstar" and to meet his fans at the event, "In Conversation with Aamir Khan" @ Mastercard Theatres, Marina Bay Sands, Singapore. 2 Oct 2017. Aamir makes sure he gets 8 hours of sleep during shoot days. He loves sleeping. He is attracted to unusual things. It is more important that his audience loves his films, than if his films win awards. Between a camera take that captures the inexplicable magical moment but technically imperfect, versus one that is only technically brilliant, he will choose the former.